TRACKS Youth Visit the Flint Corn Project! FAW and the TRACKS Youth Program hosted youth from Hiawatha First Nation to learn about the Kanienkeha:ka (Mohawk) Flint Corn Seed-Saving & Education Project. Farms at Work staff member Rosie Stopford, and Haudenosaunee corn grower Karolyn Givogue spoke to the youth about the Three Sisters traditional growing method, and how the process of pollination is required for saving seed for the future. The youth will be welcomed to the garden again in August to learn more about the pollination of corn, beans, and squash. 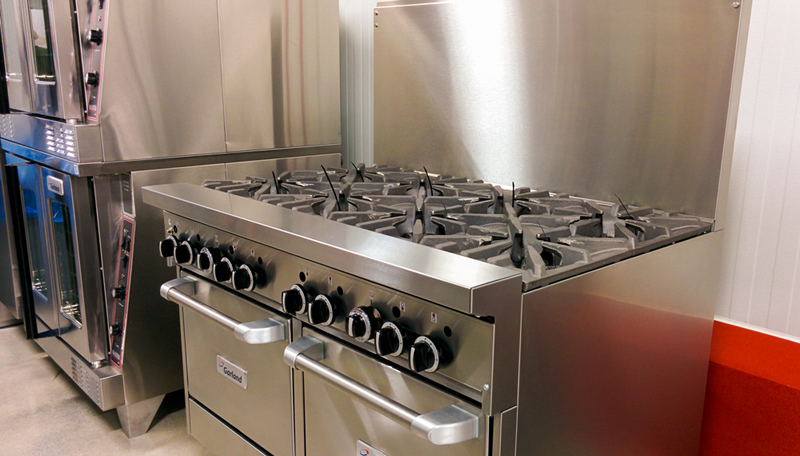 Do you need a part time commercial kitchen space? Have you outgrown your home kitchen? Are you tired of lugging stuff in and out of a church basement? A Peterborough organization is considering setting up a commercial kitchen space and are looking for subleasees. The ideal situation is a few people/organizations who can commit to a regular weekly shift (such as 1 day a week). There will be some space on site to store tools and ingredients if you are a regular user. There would be on site cold storage. There may also be the opportunity to bring in your own specialized equipment. Hourly rental may be offered if there is enough demand. The space would be within the City of Peterborough and be accessible. Conserving native pollinators is easily achievable with minimal effort and some intentional planting. By creating low-cost pockets of pollinator-friendly plants, or maintaining the natural areas on their properties, farmers and landowners can support healthy populations of native pollinators, all without forfeiting productive ground. Interested in learning more about the simple, practical strategies that you can use on your own farm to protect native pollinators? Come get your hands dirty with us for this FREE full day bus tour on Wednesday September 2! We'll visit two farms that have completed habitat conservation projects in the past, and then spend the afternoon working on a new planting project on a cattle farm outside of Lakefield. More than 1.5 million young people aged 15 to 24 work across Ontario, and every year more than 6,000 are injured seriously enough to need time off work. Employers, supervisors and parents can learn more by visiting Ontario.ca/YoungWorkers, Ontario's web portal on how to protect young workers on the job. Every summer, the Ministry of Labour conducts a young worker health and safety blitz to make sure all workers know their rights - this year's four-month blitz began in May. Between 2009 and 2013, 30 young workers aged 15 to 24 died in work-related incidents and more than 30,000 received injuries resulting in lost time at work. New and young workers are three times more likely to be injured during their first month of work than at any other time. Learn more about protecting young workers. For questions about workplace health and safety, call the Ministry of Labour at 1-800-531-5551. For questions about employment standards, call the ministry at 1-877-202-0008. Both toll-free lines provide service in multiple languages. "All injuries and fatalities are preventable, and no person should be treated unfairly at work. We must strive to ensure that young workers - our own sons and daughters - have their workplace rights protected under the law and that they are able to come home to us safe and sound at the end of each shift."